Early detection matters. 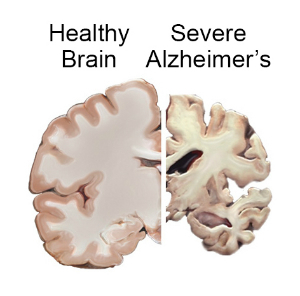 The warning signs of Alzheimer’s disease are often dismissed as side effects of normal aging. If you or someone you know is experiencing memory loss or behavioral changes, it’s time to learn the facts. Early detection gives you the chance to begin drug therapy, enroll in clinical studies and plan for the future. Attend this interactive workshop to learn of the 10 warning signs of Alzheimer’s disease. We’ll separate myth from reality and address commonly-held fears about Alzheimer’s in America. Hear from people who have the disease and find out how to recognize the signs in yourself and others.